I spend a lot of hours sitting at my desk and my backside and lower back really suffer from it. I've tried many things to try to ease the pain and discomfort. 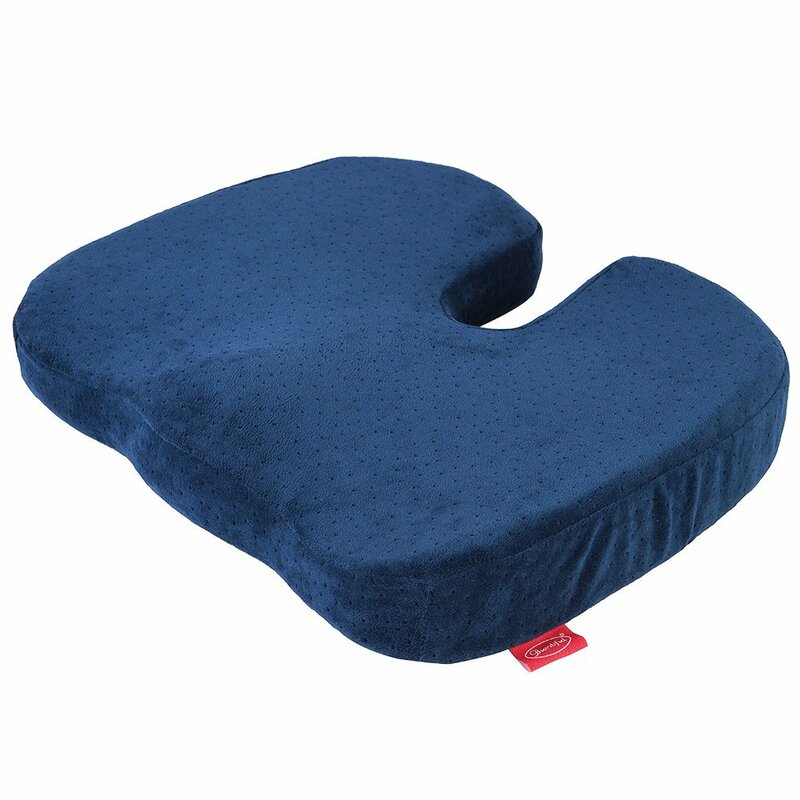 I was given the opportunity to try ChiroDoc Coccyx Cushion and was very pleased! Instantly my spine felt like it was aligned the way it should be. I found myself sitting straighter, not slumped and slouched. This cushion is made from memory foam that never loses it's shape. It's made to fit your backside, whether you are young or old, thin or thick. (It keeps your backside from going numb too from sitting for long periods of time) There is a notch (that should be placed at the back of your seat) that's designed for your tailbone to rest there. No pressure on your coccyx means less pain. You can take it with you anywhere, to work, your car, a plane, the football game, anywhere you sit. Great for pregnant women too. It really relieves lower back pain.